Creating meaningful opportunities and spaces that foster curiosity, wonder, experimentation and creativity. Creatively communicating thoughts, experiences, and points of view using many different forms of expression. Listening to, attending to, recognizing, and thinking with multiple others. develop their ability to use mathematical concepts and their interrelations to investigate, test, and reflect on different solutions to problems raised by themselves and multiple others. Accessing and engaging with materials, places, community members to support the cultivation of language(s) and literacies that reflect children’s family, community, and cultural experiences. Exploring and creatively engaging with their environment individually and in relation with others, including humans, other species, and the land. Exploring and thinking to identify and try possible solutions to problems in meaningful contexts, and to experiment with creativity, spontaneity and flexibility. 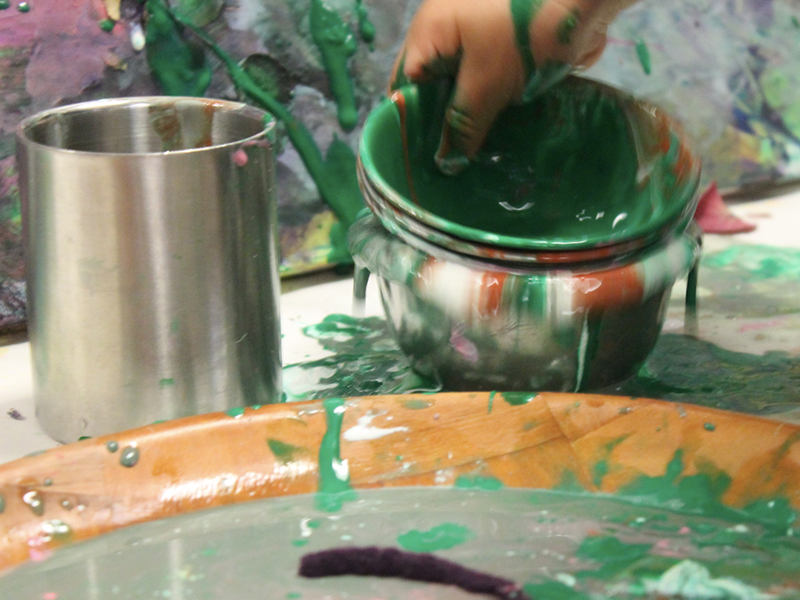 Acknowledging and responding to the multiple ways which children’s creativity and explorations can be experienced and expressed and the diverse ways that children represent what they know, in ways that are respectful of self, others, materials and the environment. Providing access to and engagement with materials, places, community members, and other resources to support creative activities that are reflective of children’s common worlds. Co-constructing with children, families, other educators, community members and other resources opportunities for children to build, design, create and experiment with a broad range of multimodal materials. Co-constructing with children, families, other educators, community members and other resources an environment where children can experiment to creatively explore multiple modes of expression through such mediums as music, song, stories, poetry, visual arts, dance, natural environments, and the dramatic arts. Creating opportunities for creative expressions and explorations that are respectful of the histories, protocols and symbolism connected to children’s common worlds.